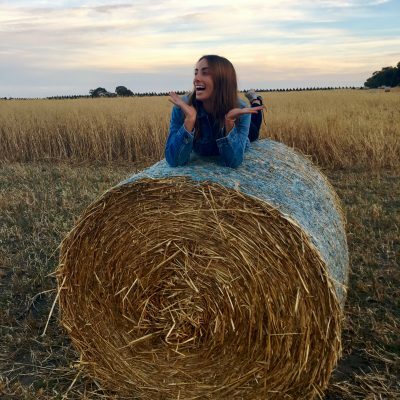 The best things in life are (almost) free – and don’t involve an Uber into the city. So, payday came, and you got a bit excited. ‘Treat yo’ self!’, you said. ‘You need the extra side of guacamole’, you said. ‘It won’t hurt!’, you said. Except now that the weekend’s rolling in, the account balance is looking, umm, a little sad and empty. But that’s never stopped you from having a huge weekend before. 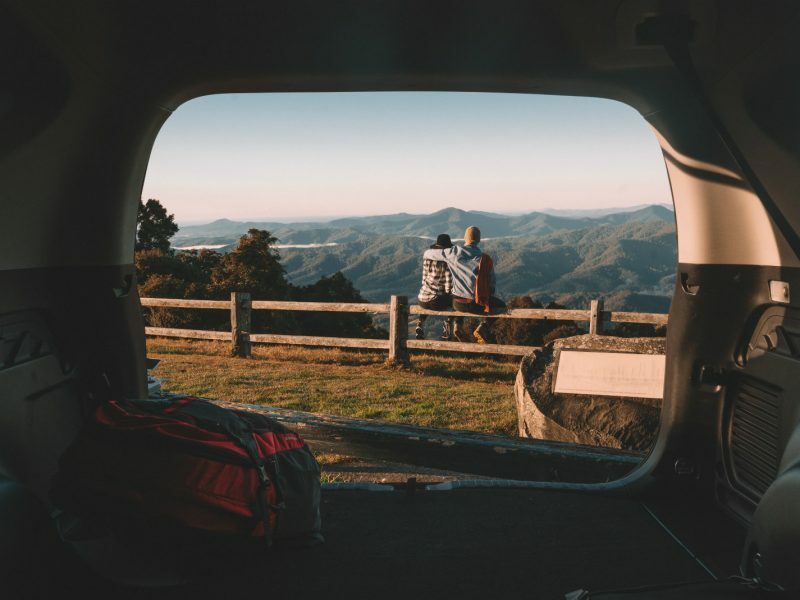 It’s time to say hello to these nine next-level weekends away, each of them in the most beautiful natural surrounds, and each of them possible with less than fifty bucks*. Yes, you read that correctly. It’s a measly 25-minute stint from Sydney city, so you have literally zero excuses not to take your boy/girlfriend (or best pal) for a cute waterside weekend away. Site is suitable for tents, camper trailers, caravans and camping beside vehicle. 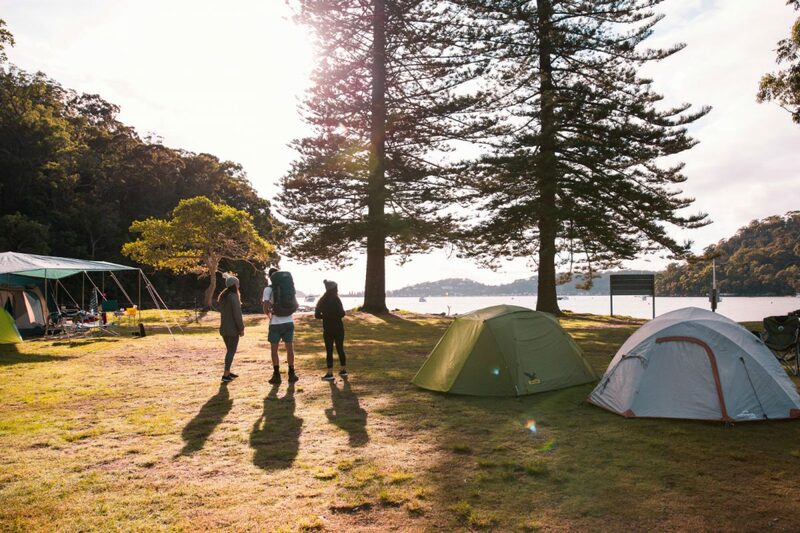 This is one of Sydney’s most prized camping spots for a reason. Actually, several reasons: this Ku-ring-gai gem has a gorgeous beach, spectacular ocean views and an inland lagoon perfect for floating around on an inner tube (pro tip: mix up a delicious beverage in a plastic cup beforehand and an ultra-chill afternoon is your reward). 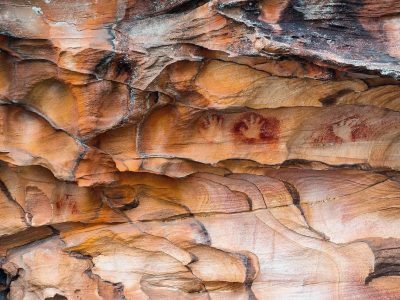 While you’re there, make sure you hit The Basin track and Mackerel track – home to one of Sydney’s best Aboriginal art sites. A must do in the area is the Aboriginal Heritage walk, more on it here. If arriving via car – please note that a Park use fee applies, at $12 per vehicle per day. If arriving via ferry – landing fees are included in your camping fees. This campsite is tent/remote backpack camping only as there is no vehicle access. No powered campsites available. Book online or by contacting National Parks Contact Centre on 1300 072 757. Did you know? Make sure you book in advance. This campground is extremely popular and you may be turned away if you arrive without a booking. Groups of 40 or more people are required to book through the local office on (02) 9451 3479. Crowd-free bliss. This magical campground holds no more than 12 people. If a campground has the word ‘pool’ in it, it’s probably a safe bet you want to bliss out there on a warm weekend. Mirang pool campground holds no more than 12 people at a time, so serenity is part of the deal, and the booking will cost you less than your weekly poached eggs with smashed avo. Getting there? From Town Hall, jump on the T4 train line to Heathcote Station. Look out for the Mirang pool sign and you’ll be there in about 30 minutes, but remember it’s only accessible by foot, so come prepared with all the food and water you’ll need. This is a remote campground, please make sure you arrive well prepared. Maximum stay is 1 night. Cattai campground is teeming with animals, greenery and historical significance. This is a great campsite with all the amenities and plenty of flat ground to pitch a tent, which is totally great. But what we should really talk about is how magical this place is. Walking around the Cattai National Park is about as close as you’re gonna get to stepping back in time. 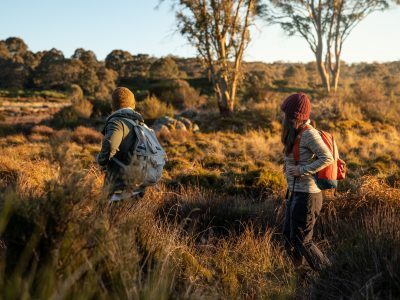 The park is overflowing with prehistoric vegetation – like red bark, stringy bark, paper gum and cabbage gums – that you can immerse yourself in as you walk down the Mitchell Park track. (Look out for signs: each part of the track is named for the tree springing up around it.) On top of that, there’s stacks of colonial history to explore, like the Cattai Homestead and historic farm buildings. Did you know? The park protects several significant sites belonging to the Aboriginal People of traditional Darug Country, showing their ancient connection to the land. You can find axe grinding grooves on rocks as well as engravings and works of art. Cattai National Park is locked overnight, including the campground. An emergency after-hours gate code will be included in your booking confirmation. Site accommodates tents, camper trailer sites and camping beside vehicle. Park entry fees are not included in camping fees. The park has coin-operated pay and display machines – please bring credit card or correct coins. Heaven is 40 minutes from Newcastle. Just 55 metres from Frazer Beach, this heavenly little campground boasts some of the best views you’ll ever get from a tent. You’ll be waking up to the tranquil sounds of the ocean beckoning you to take that morning swim (bring your surfboard, too), before you immerse yourself in rainforest as you trek the Palms circuit track beneath a lush canopy. Happy days. Did you know? Look out for the adorable grey-headed flying foxes while they feed on the cabbage tree palm forest. This campground has gated access. Please check the park open hours as entry/exit will not be possible after closure. Sites are marked, unpowered and suitable for up to 6 people. Site is suitable for tents and camping beside vehicle. Mobile phone coverage is limited, an emergency phone is located near the amenities. Strong rips and currents may be present at this beach. Read our beach safety tips. 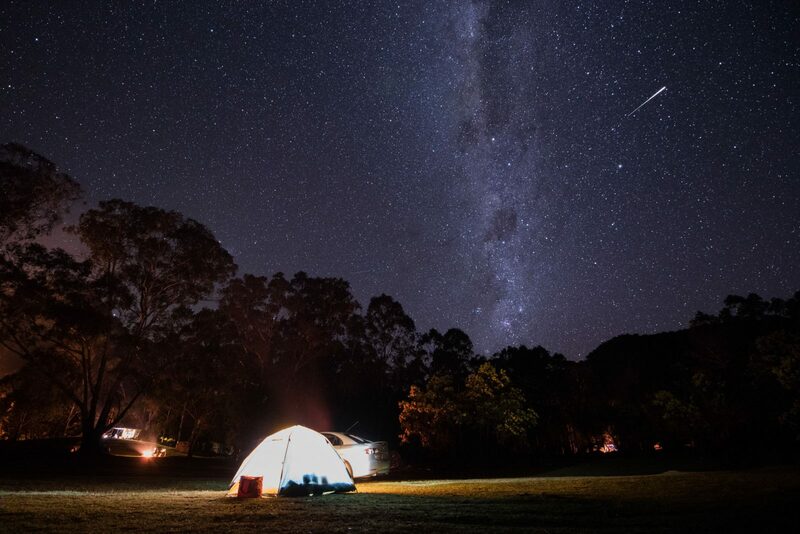 Freeman’s campground is just 40-minute drive from Newcastle and under two hours from Sydney. 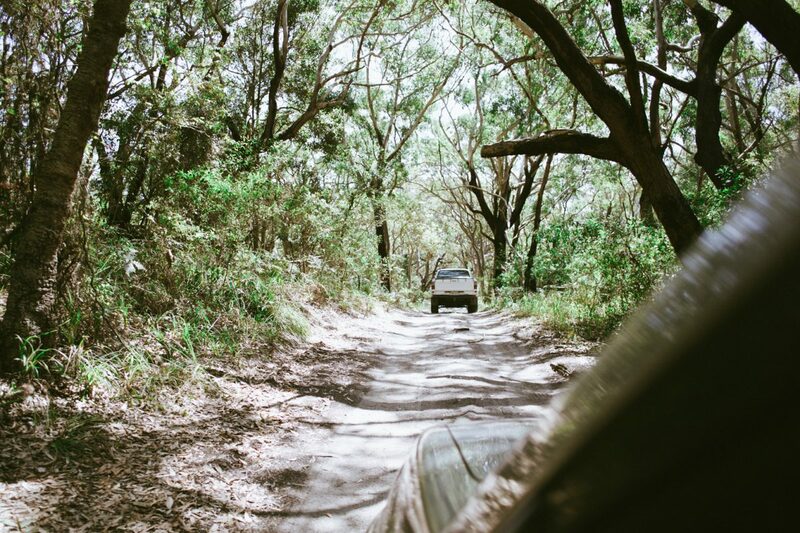 Get it right this weekend as you camp in unspoiled bushland near the beautiful Birdie Beach. Freeman’s has a stack going for it, including some seriously good whale watching opportunities at the Tea Tree picnic area and lookout. Check out the surf here, then paddle out before you cook up a tasty BBQ lunch. Ranger tip: Most beaches in NSW national parks are unpatrolled. While enjoying our beaches, it’s important to always keep beach safety top of mind. Read our beach safety tips to help you stay safe in the water and on the sand. Site accommodates tents, camper trailers, caravans and camping beside vehicle. 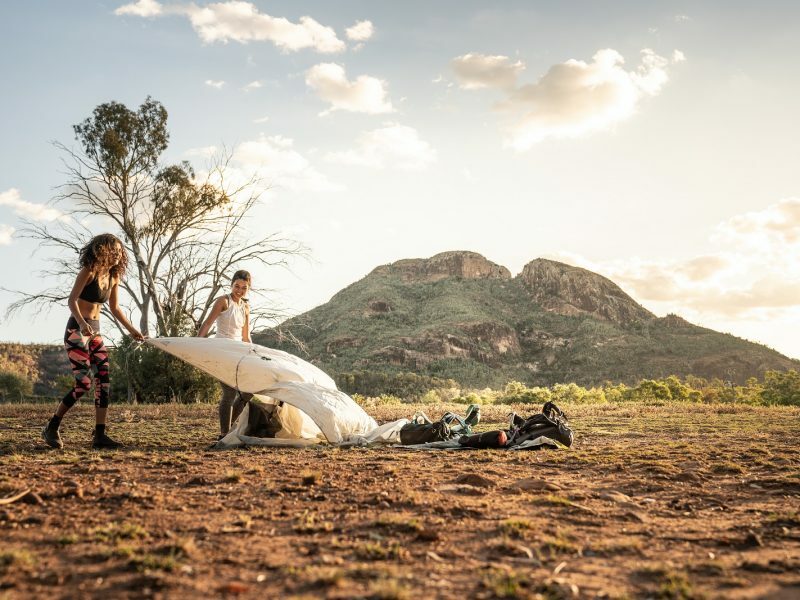 Book online or by by contacting National Parks Contact Centre on 1300 072 757. Picnic tables, barbecue facilities, carpark, drinking water, showers and toilets available. Strong rips and currents may be present at this beach .Read our beach safety tips. 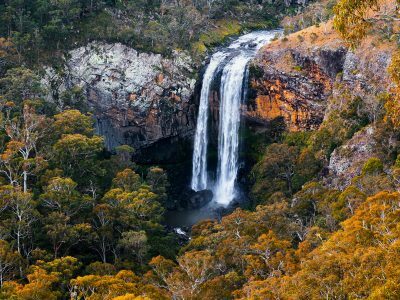 Just an hour from Newcastle (2 hours and 40 minutes from Sydney) lies your new favourite getaway. This riverside retreat is all about wholesome pastimes like fishing and birdwatching: basically it’s exactly what you need to counteract spending too many weekends out on the town. And the best part? It doesn’t cost a cent, so you can spend your pennies on extra marshmallows instead. The crowning jewels of the area are the glorious black cockatoos that you can watch from the comfort of your tent as they feed along the river’s edge, and there are plenty of furry friends like possums and bandicoots to encounter among masked owls in the bush. Help keep our wildlife wild #dontfeedit. Pro Tip: Come prepared. Water is not available at this campground, so you’ll need to bring your own supply. Site is suitable for Tent, Camper trailer site, Camping beside vehicle. Bookings are not required for this campsite. Nearby lies another, totally free, waterfront gem: Little Mountain Campground. At this remote riverside spot surrounded by dense forests, you’ll find opportunities to enjoy everything from kayaking and swimming to cycling and 4WDing. As dusk sets in, look out for swamp wallabies, brush-tailed and ring-tailed possums as you snuggle up in your sleeping bag. See, the best things in life really are free. Suitable for tents, camper trailers and camping beside vehicle. Sites are unmarked sites and unpowered. It’s called Bangalow, but Sherwood Forest is probably a more apt name for this epically chill camping ground. Parked deep within Watagans National Park (2 hours north of Sydney), this earthly delight is shaded by tall blue gums and blackbutt trees. 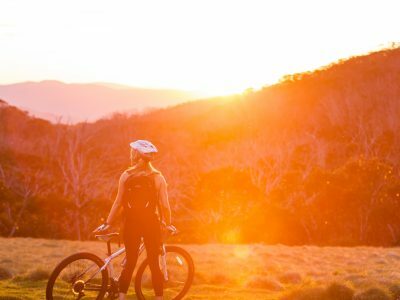 But it’s not all about lounging around (if you don’t want it to be): there are plenty of mountain biking tracks and challenging hikes like Turners Walking Track to get your blood pumping. In the cooler months, remember to bring some firewood along to keep you and your pals nice and toasty. (Friendly reminder, don’t pick up firewood in the park as little creatures often set up camp in them.) We can almost hear the crackle of the fire now. Last, but not least: scoping out Monkey Face Lookout is a must. The views over Martinsville Valley are like an impressionist painting IRL. Suitable for tents and camping beside vehicle. Sites are not marked and not powered. Did you know? Fire safety should always been taken seriously. Be reckless and that glorious weekend away could turn sour very quickly. *Prices based on the minimum daily rate, which includes the first two campers per night.